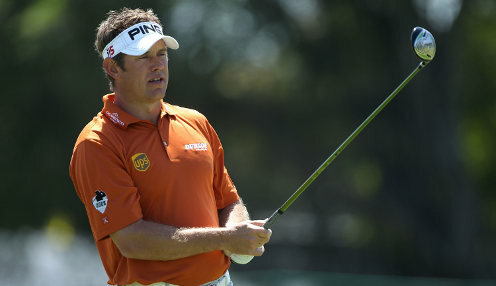 Lee Westwood has started to search for a new coach after ending his partnership with Sean Foley, who also coaches Tiger Woods and Justin Rose. Westwood is keen to arrest his slide down the world rankings - he is currently 33rd - after enduring a difficult time since failing to win the Open Championship seven months ago. He eventually finished third at Muirfield after having a two-stroke lead going into the final round. Since that disappointment he has only managed one top-ten finish on the European Tour and failed to win a tournament last year. The 40-year-old has continued to struggle in 2014, finishing 47th at the Farmers Insurance Open and missing the cut at the Waste Management Phoenix Open. I was working on stuff that I didn't work on back then, so it made sense to go back to what I was working on before. He is set to play at this week's Northern Trust Open at Riviera in Los Angeles and is 1/1 to win the tournament and 1/1 to finish as the top European. "I just wanted to work on swing positions and stuff like that a bit more. I didn't feel like Sean coached like that, so it didn't really fit what I wanted to do," said Westwood. "I felt like I had the game that got me to world number one. And I was working on stuff that I didn't work on back then, so it made sense to go back to what I was working on before."